Background: A majority of gallbladder specimens show changes associated with chronic cholecystitis; however few harbour a highly lethal carcinoma. This study was conducted to review the significant histopathological findings encountered in gallbladder specimens received in our laboratory. 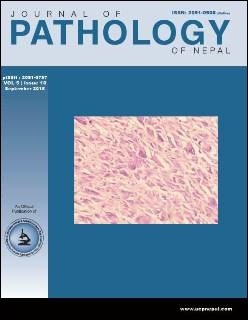 Materials and Methods: Four hundred cholecystectomy specimens were studied over a period of five years (May, 2002 to April, 2007) received at department of pathology, Kasturba Medical College, Mangalore, India. Results: Gallstones and associated diseases were more common in women in the 4th to 5th decade as compared to men with M: F ratio of 1:1.33. Maximum number of patients (28.25%) being 41 to 50 years old. Histopathologically, the most common diagnosis was chronic cholecystitis (66.75%), followed by chronic active cholecystitis (20.25%), acute cholecystitis (6%), gangrenous cholecystitis (2.25%),xanthogranulomatous cholecystitis (0.50%), empyema (1%), mucocele (0.25%), choledochal cyst (0.25%), adenocarcinoma gallbladder (1.25%) and normal gallbladders (1%). Conclusion: All lesions were found more frequently in women except chronic active cholecystitis. Gallstones were present in (80.25%) cases, and significantly associated with various lesions (P value 0.009). Pigment stones were most common, followed by cholesterol stones and mixed stones. Adequate sectioning is mandatory in all cases to assess epithelial changes arising from cholelithiasis and chronic cholecystitis as it has been known to progress to malignancy in some cases.